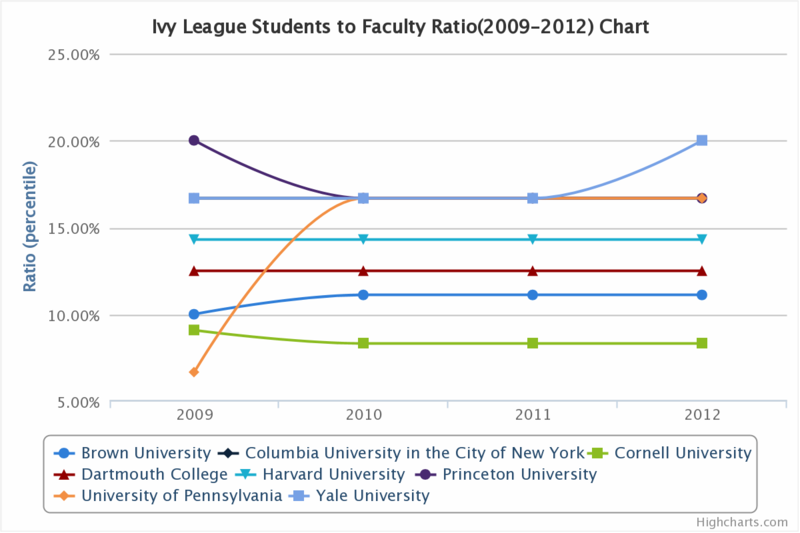 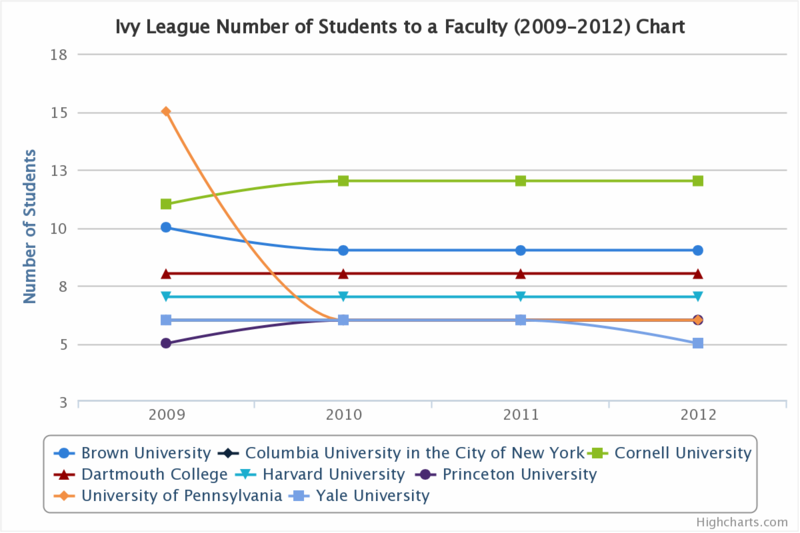 You can analyze and compare student to faculty ratio of Ivy League colleges with summary tables and charts. 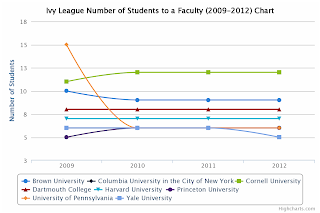 For detail information of your desired school, follow links on the school name. 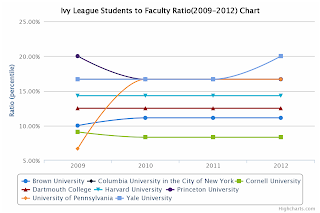 You can print or download charts as various image formats by using setting button on top-right corner of each chart.